It was the best of times, it was the … well, literally the best of times. Van Halen was the greatest band in the world. George Orwell was totally right about the future. And the Edmonton Oilers were the world champions of hockey. It was 1984. And speaking of oil, that's the year Shell started refining in Alberta, Canada. 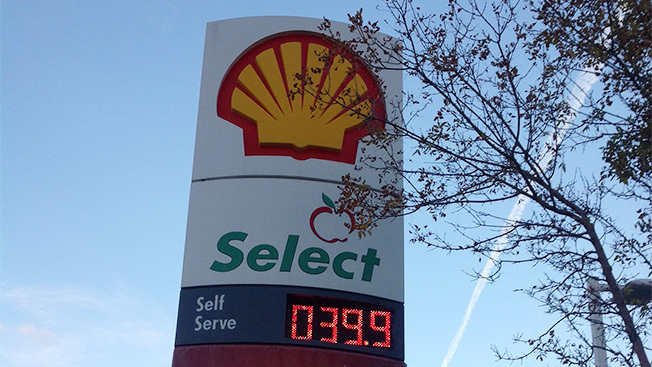 To celebrate, eight Shell stations in the area reduced their prices on Wednesday to match their 1984 levels—39 cents per liter. With gas costing way more than that nowadays, Canadians were surely happy to fill their gas-guzzling vehicles without hurting their wallets, even if just for one day.